Monitor rainfall and receive early warning of lightning storms with the AcuRite Rain Gauge Station with Lightning Detection. 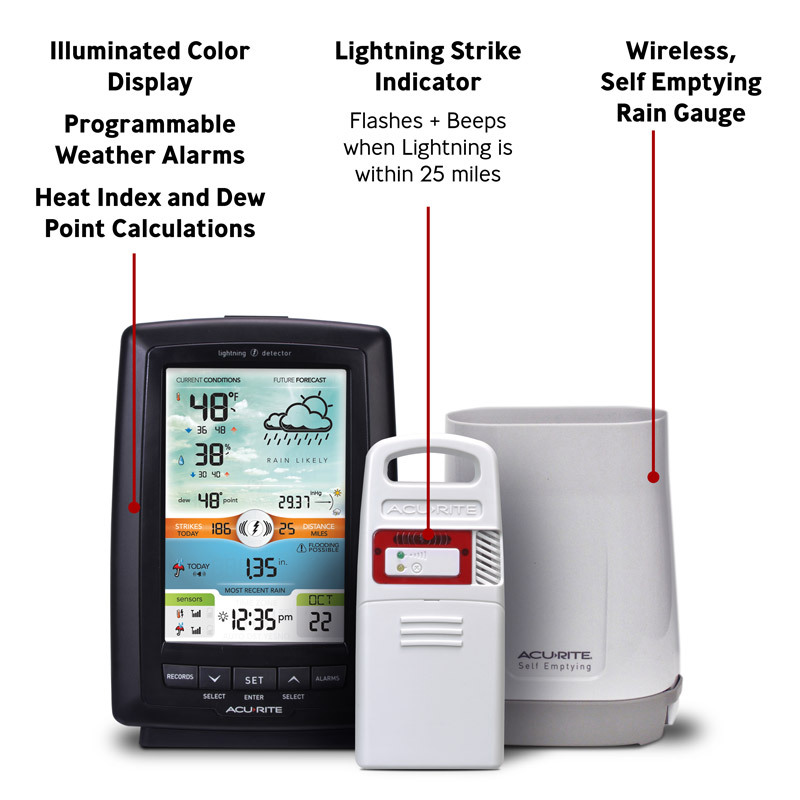 It comes with an AcuRite wireless Rain Gauge Collector and Lighting Detector. The illuminated color weather station display shows all the vital rainfall, temperature, humidity, barometric pressure, and lightning detection information you need. Perfect for gardeners, and parents needing to know when to move the kids indoors. It also provides a reliable weather forecasts, as well as time and date for convenience.